Visitation for Tessa Fay, 90, of Omaha, formerly of Norfolk will be 4-6, Friday, August 31, 2018, at Home for Funerals, 1203 W Norfolk Ave, Norfolk. Private burial will be at a later date. Home for Funerals, Norfolk, Nebraska is in charge of arrangements. 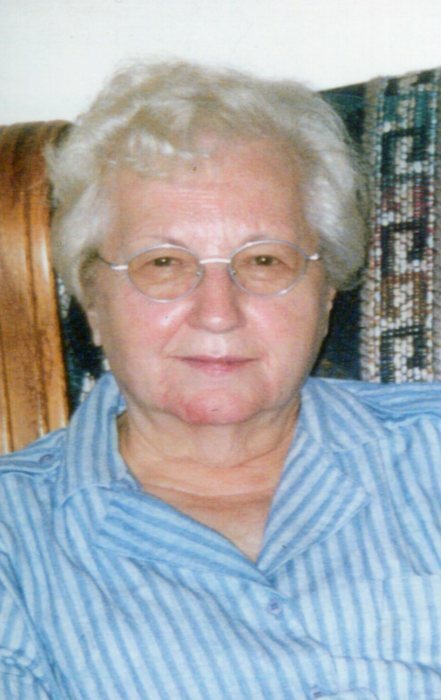 Tessa died Tuesday, August 28, 2018 at Prairie Meadows Alzheimers Care Center, Omaha, NE. Tessa was born May 21, 1928 in Albion, NE to Harry and Viola Henderson. She grew up in Norfolk and graduated from Norfolk Senior High School in 1945. After High School, Tessa worked for Northwestern Bell Telephone Company as a telephone operator. In 1948, Tessa married Robert Fay. They had been married for 62 years at the time of Roberts passing in 2009. Tessa was a member of the Norfolk Church of Christ. She liked to read and she liked the outdoors, taking care of the lawn. her flower garden, and watching birds. She always enjoyed spending time with her family. She is survived by 2 sons, Richard and Scott Fay. and by her daughter Nancy Duvall and her husband Richard, 2 grandchildren, Ben Duvall and Sheila Duvall Beyer, and 4 great-grandchildren Levi and Isaac Duvall and Dean and Emery Beyer.